Banned by the FL DOC! BANNED BOOK UPDATE - FEB 25, 2016: Benjamin Stevenson, an attorney for the ACLU, told me that they could not move forward on my First Amendment lawsuit. It turns out that they have too many potential lawsuits and not enough funding to persue them all. 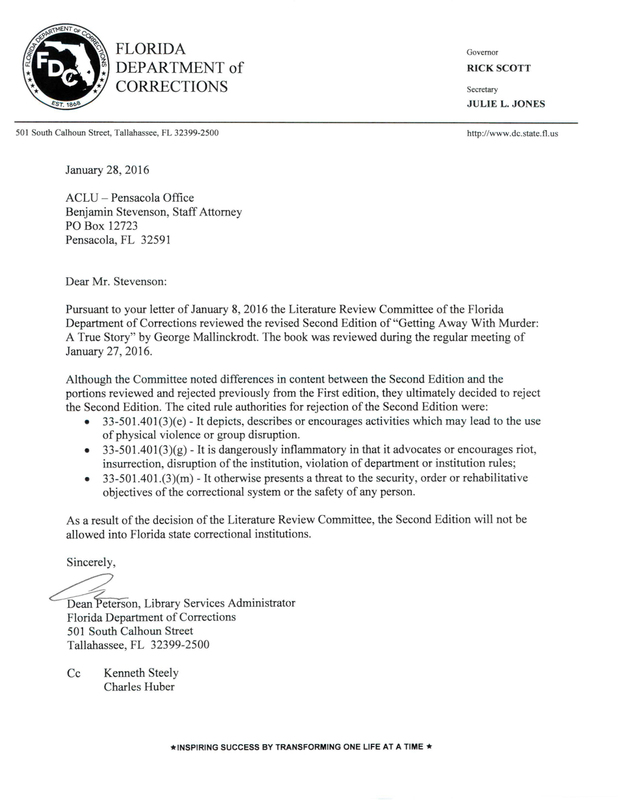 BANNED BOOK UPDATE - FEB 15, 2016: Florida Department of Corrections, Literature Review Committee, bans the 2nd Edition of Getting Away with Murder. George's Note: The FDC has now banned both editions of my book citing the same rejection criteria from the 1st Edition. Attorneys for the American Civil Liberties Union will meet to consider the possibility of a lawsuit on 1st Amendment grounds. Needless to say, I'm in favor of putting pressure on the FDC to allow my book. Stay tuned! 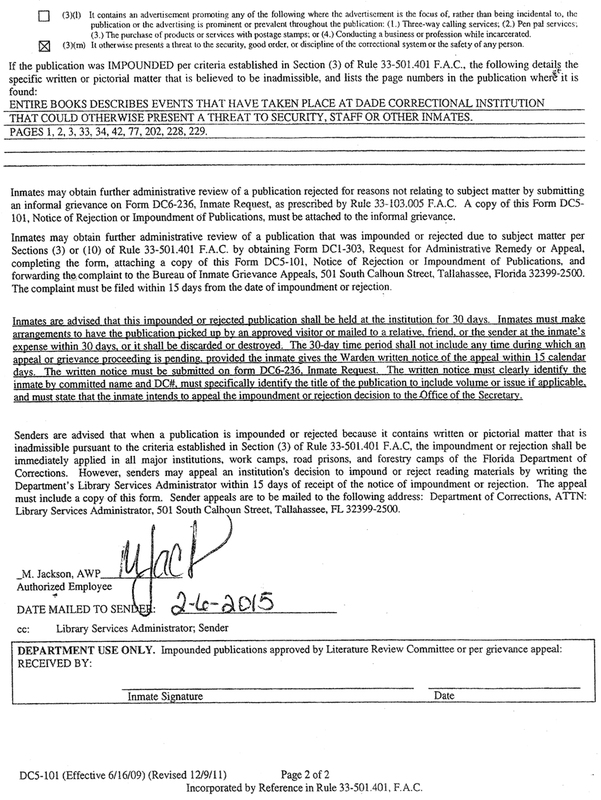 Below, see the letter the Florida Department of Corrections sent to the ACLU. 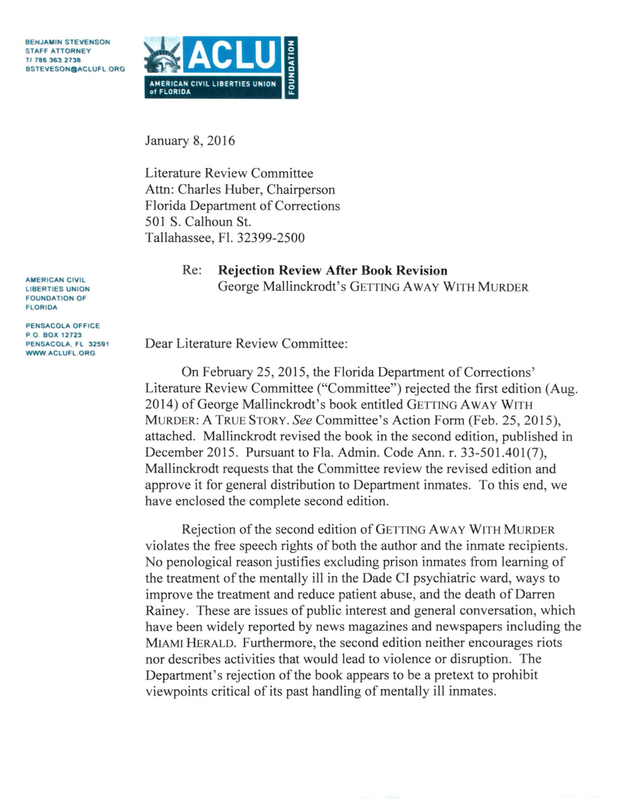 BANNED BOOK UPDATE - JAN 11, 2016: ACLU petitions Literature Review Committee to approve the Second Edition of Getting Away With Murder for distribution to inmates on First Amendment grounds. George's Note: Apparently, only the First Edition of Getting Away With Murder has been banned even though I have confirmation that at least one copy of the Second Edition has been impounded. Once a book is banned or "rejected," no appeal is possible unless the book is revised. Since the Second Edition is, in a sense, a revision, I have the opportunity, with the ACLU's generous assistance, to ask the FDC to allow my book to be made available to inmates in all Florida prisons. 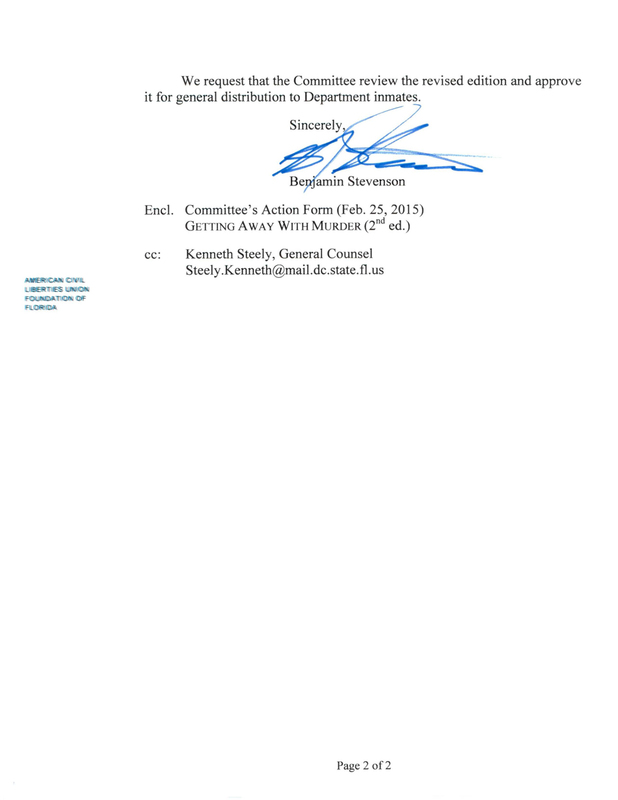 Below, see the letter the ACLU sent to the Florida Department of Corrections. DEC 29, 2015 - A source inside the Florida Department of Corrections said on condition of anonymity, "This book could cause a prison riot!" Another department official cited this rationale for the ban: "It's a true story, right?" "Right." 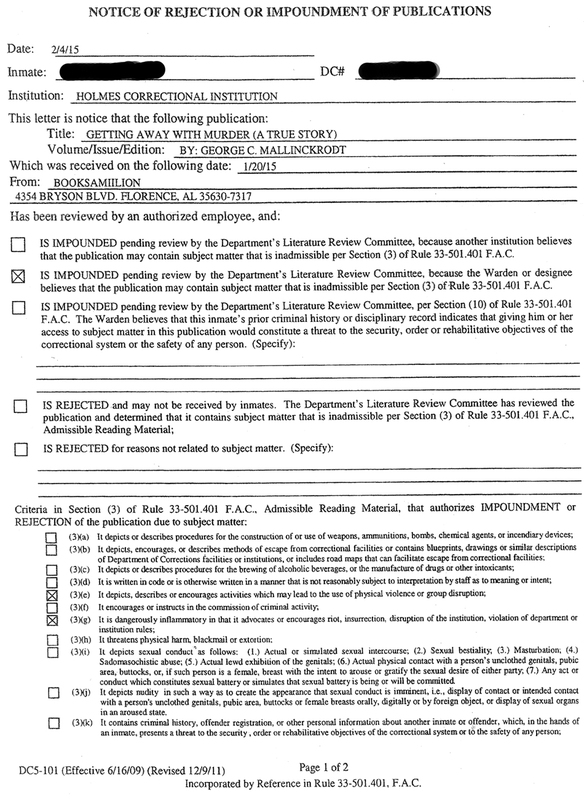 "That would have been one of the reasons…had it been a novel or fiction it would've been OK."
George's Note: The package the FDC sent me included 12 copied pages from Getting Away With Murder to substantiate their claims that my book "depicts, describes, or encourages activities which may lead to the use of physical violence or group disruption." Another false assertion the FDC made about GAWM was that "it is dangerously inflammatory in that it advocates or encourages riot, insurrection, disruption of the institution…" I never encouraged anybody to start a prison riot in my book! Finally, the DOC claims my book "presents a threat to the security, good order, or discipline of the correctional system or the safety of any person." The only "threat to the security, good order, or discipline" is the DOC itself and the fact that Secretary Julie Jones continually glosses over the 800-pound gorilla in the room: The deeply embedded culture of brutality and secrecy. A malevolent minority of thuggish guards constantly badger, taunt, torment, and disrespect inmates. If inmates complain, they're retaliated against. One captain was quoted as saying, "If an inmate is smiling, I'm not doing my job." Please show me any job description for prison guard where it says, Duties: Keep inmates from smiling. Secretary Jones points to the increase in inmate-on-guard assaults as justification for hiring more guards, but never tells lawmakers the real reason for the increase in violence: Disrespectful attitudes of guards. 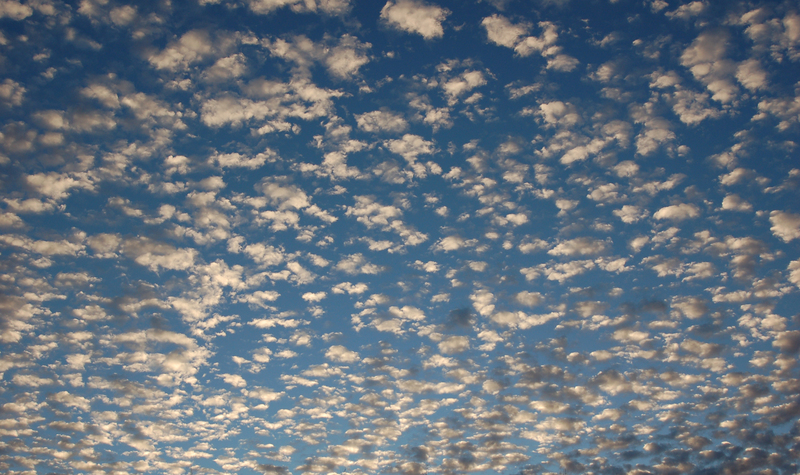 I always treated my patients with respect when I worked in the psychiatric ward at the Dade Correctional Institution—they paid me back in kind. I never had one incident where a patient treated me disrespectfully. "Treat others as you would have yourself treated" is a sentiment these Neanderthal guards never embraced. Shuffle back to your caves. Then there are those guards that take it to another level like the guards that scalded Darren Rainey to death. The Florida Department of Corrections is riddled with amoral, sadistic psychopaths and administrators who enable, support, and cover up their crimes. Will Secretary Jones ever get it? She wants more money to hire additional guards, but until the culture of brutality is surgically removed, adding more guards is like reloading the gun. What she doesn't want to hear is the "nuclear option" I suggest in the 2nd Edition of Getting Away With Murder. Namely, transferring the grievance process from the FDC to an independent agency. As it stands now, unscrupulous guards and administrators have completely hijacked the inmate grievance process. If inmates knew they wouldn't be retaliated against for grievances on brutish guards, we would hear of atrocities that make the Miami Herald stories seem like kindergarten fare. 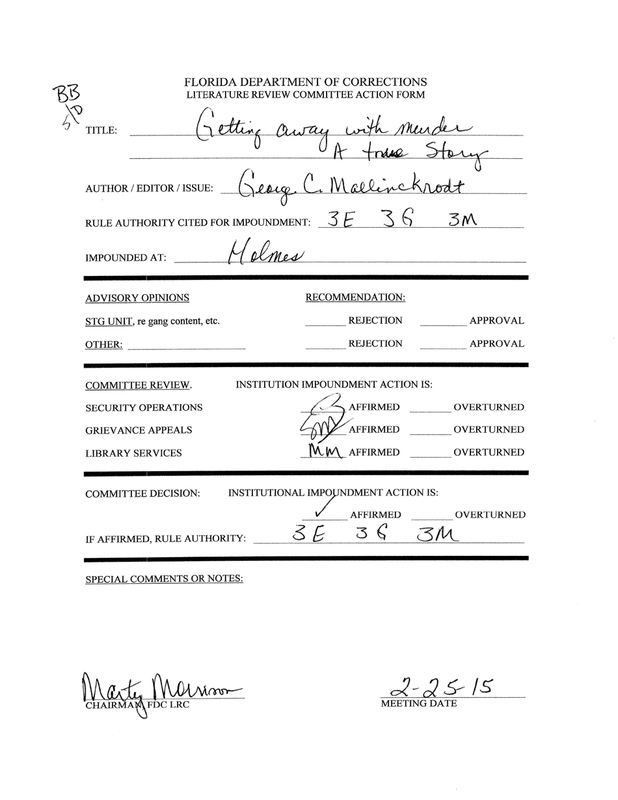 George's Note: The redaction of the inmate's name is my doing. I beat the FDC to it! by the Florida Department of Corrections! Please visit my Human Rights Campaign page!